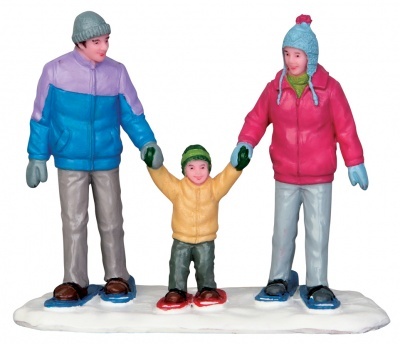 Lemax Snowshoe Family Figurines depicts a Mother and Father with Son on a Winter Walk in the snow with snowshoes on their feet. A delightful family Lemax Winter scene figurine piece which joined the Vail Village Lemax collection in 2015. 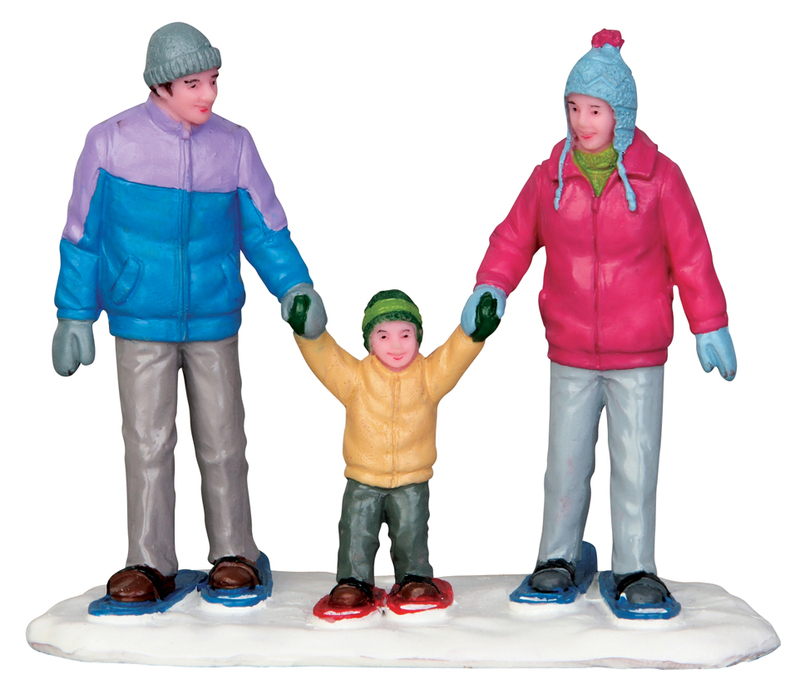 Snowshoe Family represents three individual hand painted polyresin figures mounted on a single snowed base to compliment your seasonal Lemax Vail Village Village display.